Kenya Paediatric Association raise concern over high infant mortality rate – Kenyatta University TV (KUTV). All Rights Reserved. The Kenya Paediatric Association has expressed concern over the high rate of infant mortality in the country. The association’s national chairman Dr. Thomas Ngwiri said 180,000 premature births are recorded with 15,000 of them dying within the first month of life. Dr. Ngwiri says the infant deaths could be related to the health of the mother, lack of adequate nutrition, lack of enough blood, infections and high blood pressure among other causes. He said more health centres are required and more health workers at the grassroots to stem the risks of newborn deaths. He said breast feeding remains the best saying babies should be exclusively breastfed for the first six months to improve their chances of survival. 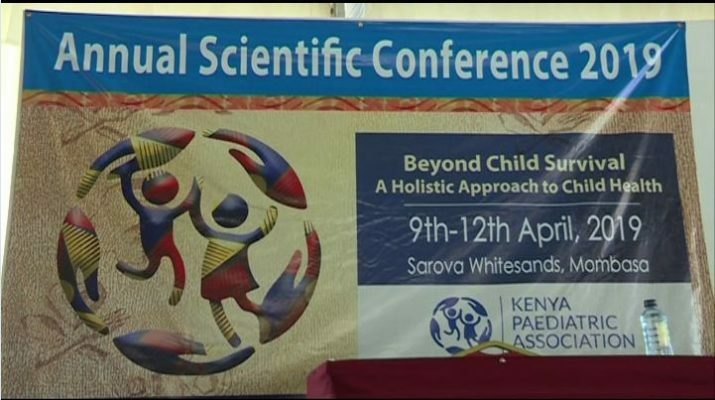 Dr. Ngwiri was speaking in Mombasa during the association’s annual scientific conference at Whitesands Hotel running under the theme ‘Beyond child survival-a holistic approach to child health’. He said the association will work with the counties who manage the health sector towards the reduction maternal and infant mortality in the country. He said health centres should be situated with where mothers can access with adequate health workers to give the best care. The official said they will support efforts and initiatives to improve maternal, newborn and child heath. He emphasized the importance of a collective responsibility towards addressing the high neonatal mortality rates in the country.